My name is Saravanan Komaravel and our Dear friends Saranya and Kannan live next to us at Mission Gate Apartments in Plano. 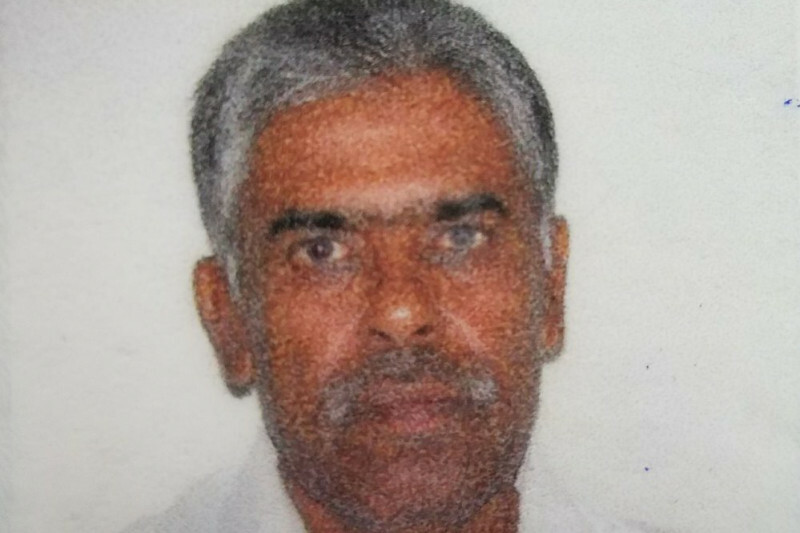 Saranya's Dad Eshwaran (age 65) who arrived here only a couple of weeks back had severe heart attack last night and passed away immediately at Presbyterian Hospital at Plano. Eshwaran's wife, Saranya, Kannan and their son(1 year) were with him. Entire family is devastated with sudden loss of their loved one and we are doing everything to support them on this foreign land. The family is arranging to have funeral in their hometown Thirupoor. No support can compensate their loss, however we are reaching to you for any means of monetary support to ease their burden. Donations are accepted via gofund.com. Donation amount will be used to pay Eshwaran's ER medical bills, Funeral expenses and travel arrangements to India. We are targeting to collect atleast $27K and any amount from you will support this cause. Thank you for your time and consideration. "Even the gift of heaven and earth would not be enough to the ones who have helped someone, but have never got any help from the receiver before"
Thank you for your prayers, condolence notes and unconditional contribution for this cause. Update: Couple of friends are in Houston to get NOC at the earliest and if everything goes as planned, the family will start to India in Emirate tomorrow morning. We once again thank wholeheartedly all known and unknown faces who have kept the family in your thoughts and acts. Please pass on our note to all who have come to this aid.